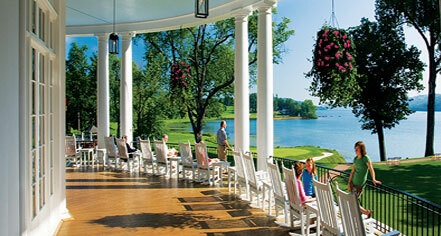 It is not hard to imagine the finger lake region of frontier days when you stay at The Otesaga Resort Hotel. Otesaga, named for the Iroquois word for “ A Place of Meetings,” is located on the southern shore of Lake Otsego in Cooperstown, New York, and ranks as one of America’s original grand lakeside hotels. Architect Percy Griffin created the classic Neo-Georgian design for the hotel, which includes the noted wood-columned portico and cone-capped cupola. Overlooking the famed “Glimmerglass” lake of James Fenimore Cooper’s Leatherstocking Tales, The Otesaga welcomes its guests and opens its doors each year in mid-April and closes for the winter after Thanksgiving. Since 1909, avid golfers, vacationers and others have been drawn to the resort for its beautiful scenic surroundings, elegant accommodations, and enjoyable resort atmosphere. In 1813, construction began on Willowbrook, an elegant Georgian-style residence named for the stately willow trees and meandering stream. Henry Phinney, son of noted printer and newspaper publisher Elihu Phinney, Sr., lived alone in the home from 1816 until the time of his death. With no direct heirs, the hotel changed ownership several times until it was bought by the Clark family in 1927. In 1939, the home was converted into a 4-bedroom Inn and became Cooperstown’s premier year-round lodging destination. 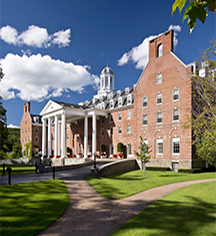 Increased demand due to the opening of the National Baseball Hall of Fame resulted in the Inn’s expansion to fifteen rooms. Further renovations in 1999 added more private baths and modern amenities. The Ostesaga Hotel and Cooper Inn, a member of Historic Hotels of America since 1994, dates back to 1909. Lake Otsego is the "Glimmerglass" of James Fenimore Cooper's "Leatherstocking Tales." Accessible Rooms: Two fully accessible rooms are available. Please notify request at time of booking. Adjoining Rooms: Some room types offer adjoining rooms, please contact hotel at time of booking. Airport Transportation: Available through outside providers. Please contact concierge for more information. Deposit: Deposit of one night required at booking. Extra Person Fees: $40 per person. Hotel/Resort Fees & Taxes: All reservations may be subject to a 12% tax. Occupancy Restrictions: Varies by room type. Ranges from 2 to 6 guests. It is not hard to imagine the finger lake region of frontier days when you stay at The Otesaga Resort Hotel. Otesaga, named for the Iroquois word for “ A Place of Meetings,” is located on the southern shore of Lake Otsego in Cooperstown, New York, and ranks as one of America’s original grand lakeside hotels. Learn more about the History of The Otesaga Hotel and Cooper Inn .